Most of my group intervention sessions used to go a lot like this: I gathered my students for treatment, exchanged greetings or explained the day, and popped open the book. I usually spent the next 30 minutes on an activity and concluding the book. It was a good session. But once I started incorporating pre-reading activities, students began advancing at a startling rate. I work with diverse populations and I quickly learned not to make any assumptions about whether the child knows the stories, has books at home, has literate parents, speaks our language at home … the list goes on. Academic expectations are based on children from Western culture. Many of these children probably grew up with parents reading to them, so they gained an understanding of specific story structures, which they heard in their native tongue. Speech-language pathologists can’t assume our students—any of our students—experienced this type of pre-literacy background. This isn’t just a culture or second-language issue. Literacy-based intervention allows us to account for many of the cultural, linguistic and socio-economic differences and pre-reading activities lay a strong foundation for narrative abilities to blossom. These activities engage students prior to reading the story, introduce them to new vocabulary and historical events, and prepare them to comprehend the story in a more meaningful manner. Pre-reading activities also help bridge any gaps between a student’s current skills and the targeted skills. Here are some of my favorite pre-reading activities and how they work. Music provides a fun, energetic way to introduce new vocabulary. You can find a song on nearly any topic online. Just type the topic plus the word “song” into your search engine. Group songs by topic to build your own library. Pre-reading questions and discussions tie students’ knowledge, experiences and ideas to book content. These activities pair well with the graphic organizers. Sticking with the example above, questions can include: How do you get to school? How do your parents get to work? Have you ever been on a bike/plane/boat? Four kindergartens students collectively drew this boat while discussing the ocean. SLPs often work with students on adding details to something they’re describing. Drawing, writing and painting enable students to actively and nonverbally describe an object or topic. 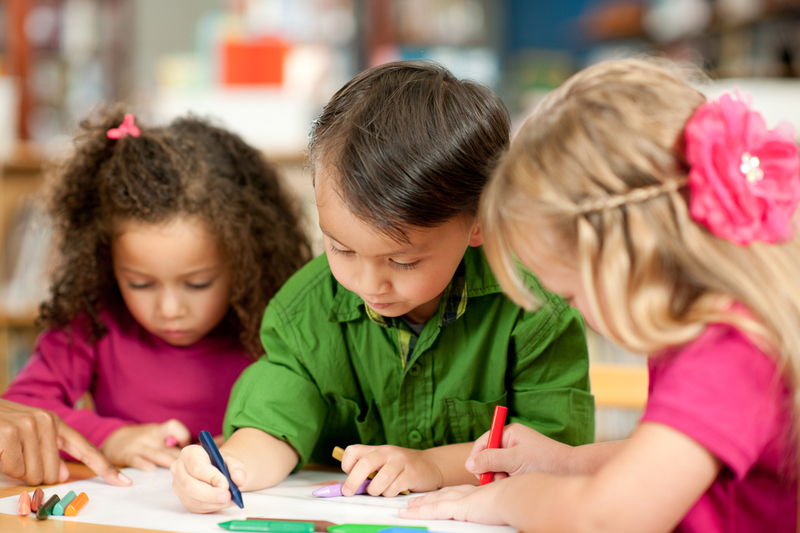 For young children, set up group drawing where everyone contributes on a table-size piece of paper. Literacy-based intervention isn’t just for language disorders. I copy or highlight articulation targets from a book to teach certain sound productions prior to generalizing the word or sound in the context of a story. When we read the story, the student knows to say all the words containing her target sound. This example is from a Clifford book for a student working on /r/ and /l/ at the word level. T-Bone lay on his back. “I’m full,” said Cleo, who had a very big tummy. “Me, too,” said T-Bone, who had an even bigger tummy. Who had the biggest tummy of all! Are you ready to open the book now? Chances are your students are over-the-top excited to read the book at this point, which is already a small victory. Pre-reading activities provide a fun, simple approach to building the foundation on which a book gets enjoyed, absorbed and replicated.